During a recent trip back to MIT, I had the good fortune to be hanging around when some folks wanted to make weird food with liquid nitrogen. The first was simple, but still pretty awesome: frozen watermelon mush. Next was a fried egg. 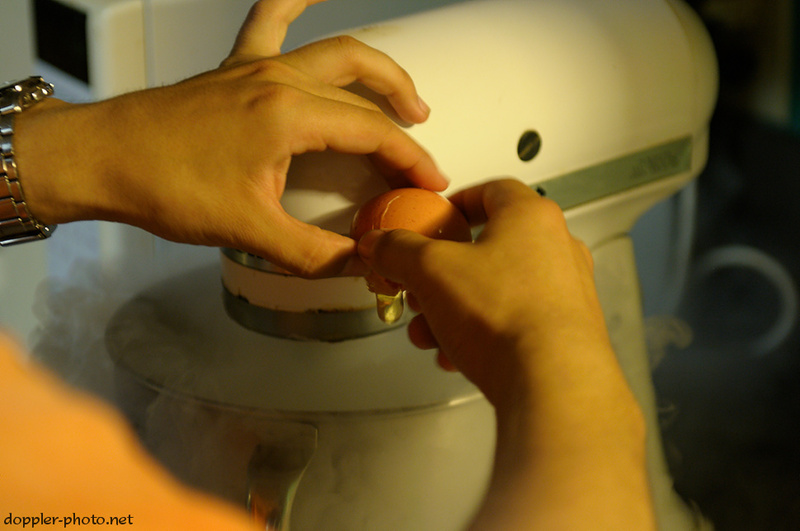 Input: LN2, followed by an egg. 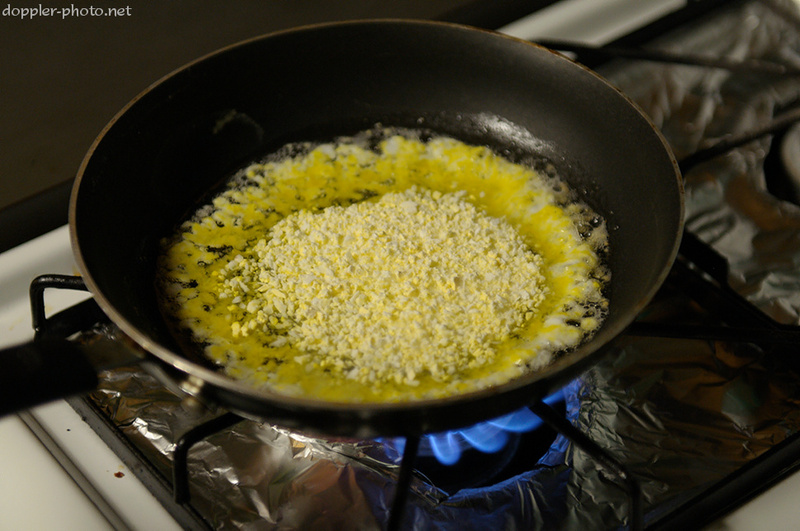 And then into the frying pan. After the freezing and mixing, the egg turns out looking like dippin' dots, and the final product ended up with a really interesting texture. Neat. That's it for this quick post. Hopefully I'll get back into a rhythm soonish. Either way, here's a joke I heard from a friend. Cheers! Q: What did the fried eggs say to the knives and forks as they waited for the monks to start breakfast? A: "Oh no! It's out of the frying pan and into the friar!"